As far as ravines go, the Grand Canyon gets all the attention, but there are plenty of other amazing canyons out there. 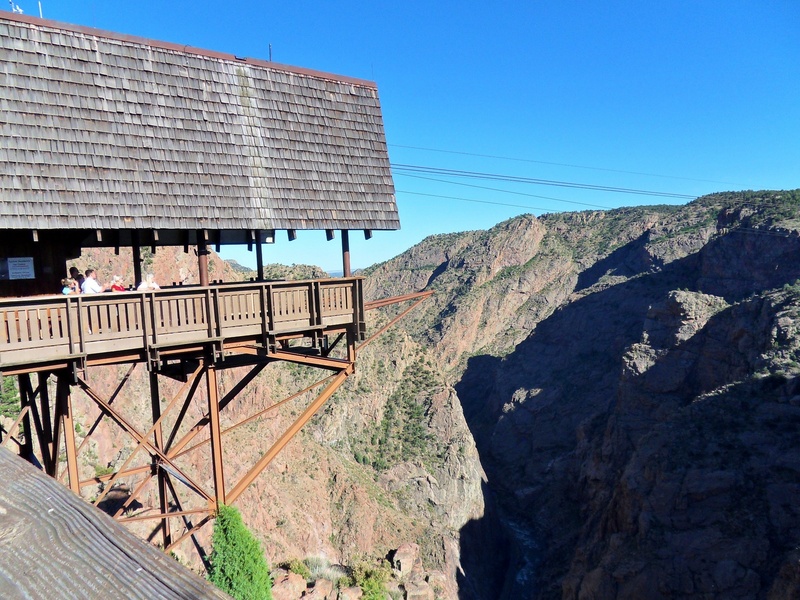 One of the most impressive is Royal Gorge, just outside Cañon City, Colorado. I went there in 2010 and snapped these photos. 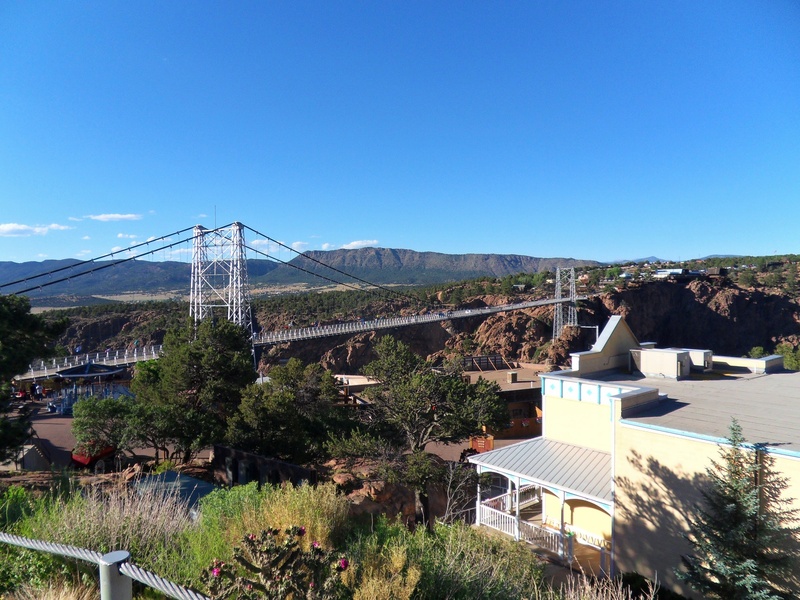 The Royal Gorge Bridge was the highest bridge in the world from 1929 to 2003. 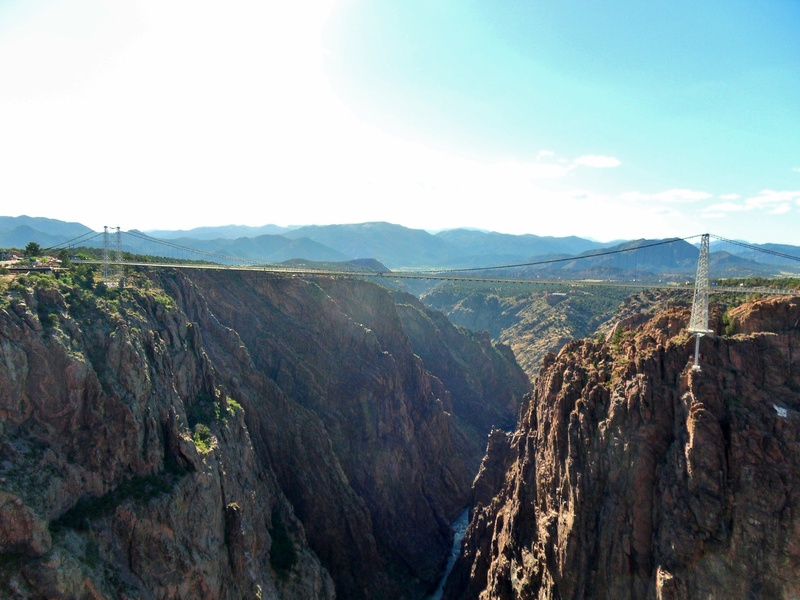 This photo really shows how high the bridge is and how deep the canyon goes. I found the bridge unnerving to walk across, because of the way that the wooden planking rattled whenever a car passed me by. We took a funicular to the bottom of the gorge. 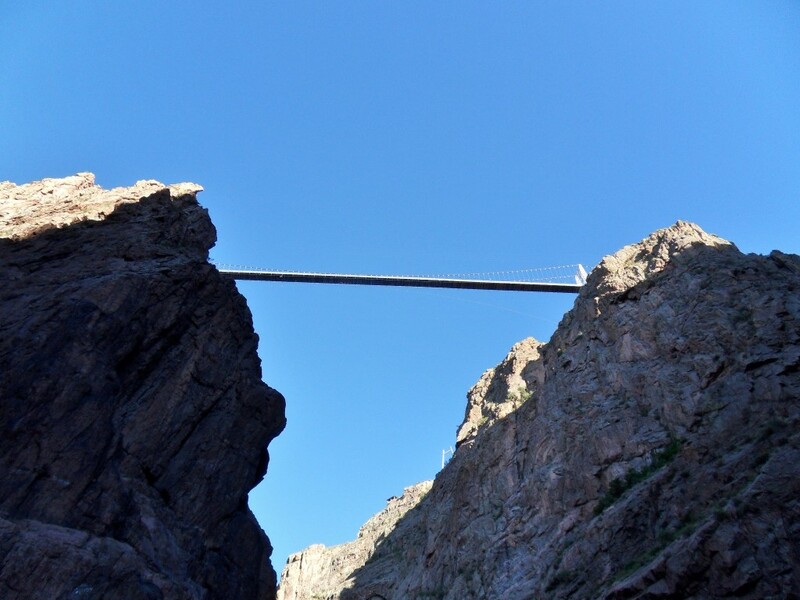 This is the bridge from hundreds of feet below. Unreal. This is the platform from which we boarded the cable car. It really does look this precipitous in real life, too. 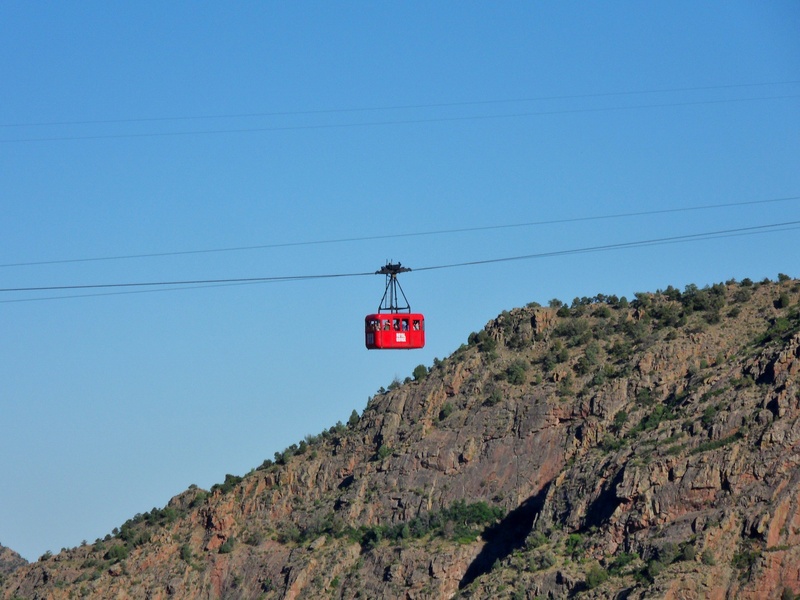 Yes, I did ride on this cable car, and yes, it was a little bit scary. 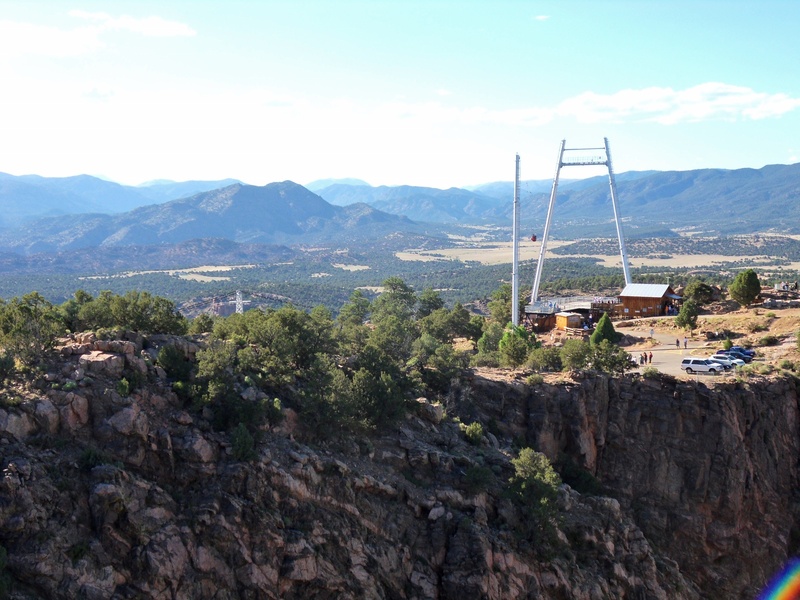 That weird-looking structure is a giant swing that swings you over the edge of the gorge. What I really liked about this picture is the rainbow in the corner. 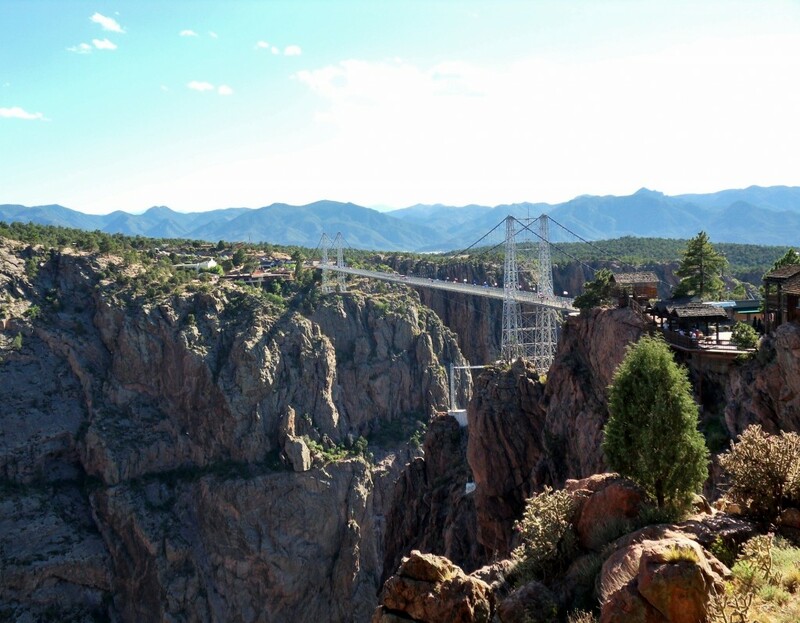 I want to go see the Royal Gorge Bridge. 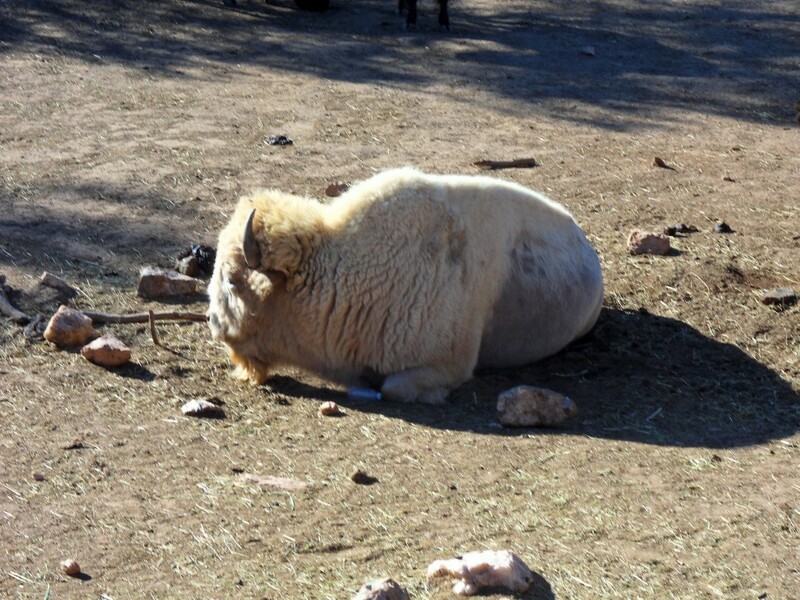 It looks very deep.